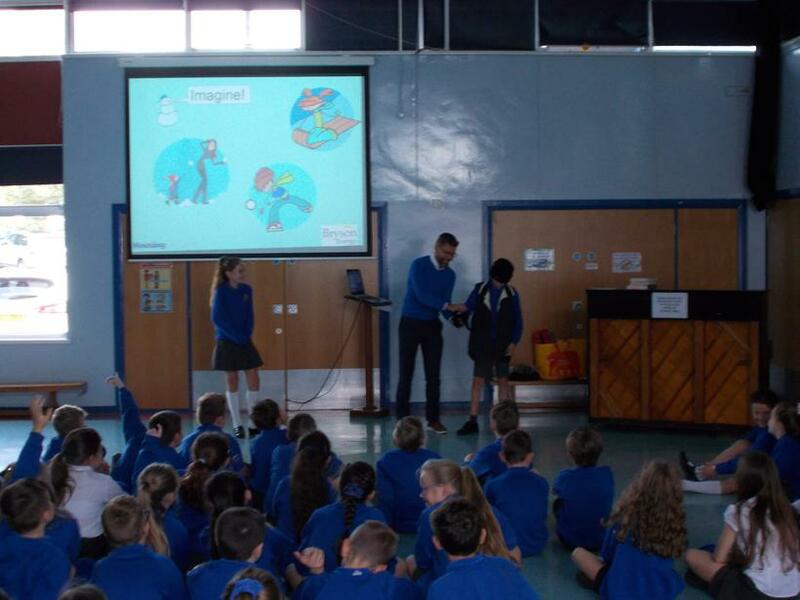 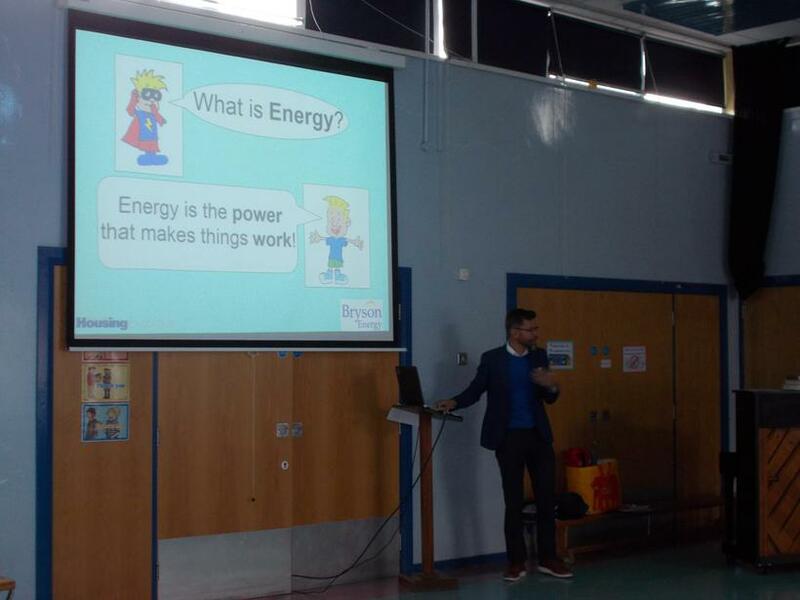 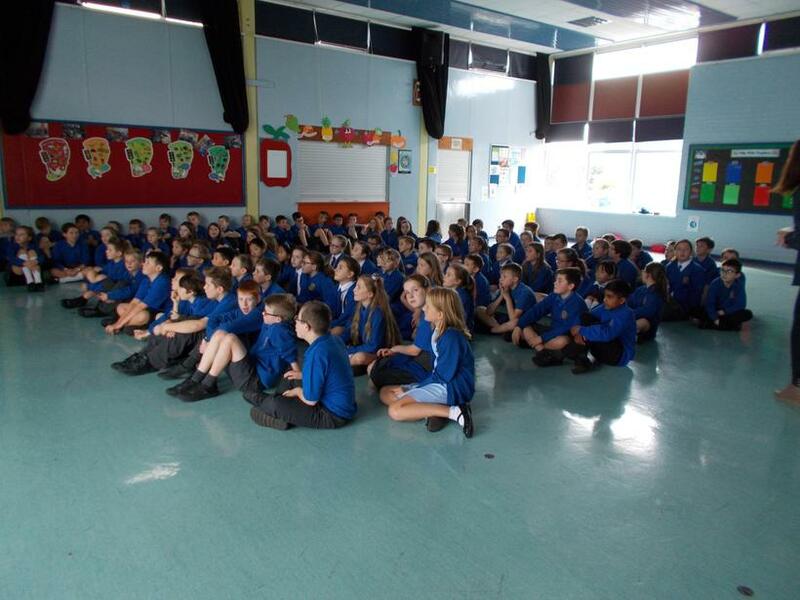 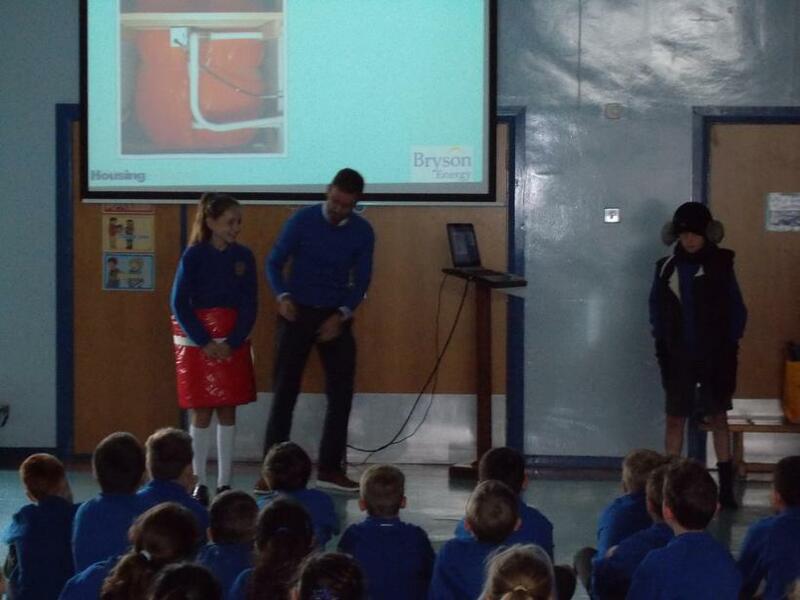 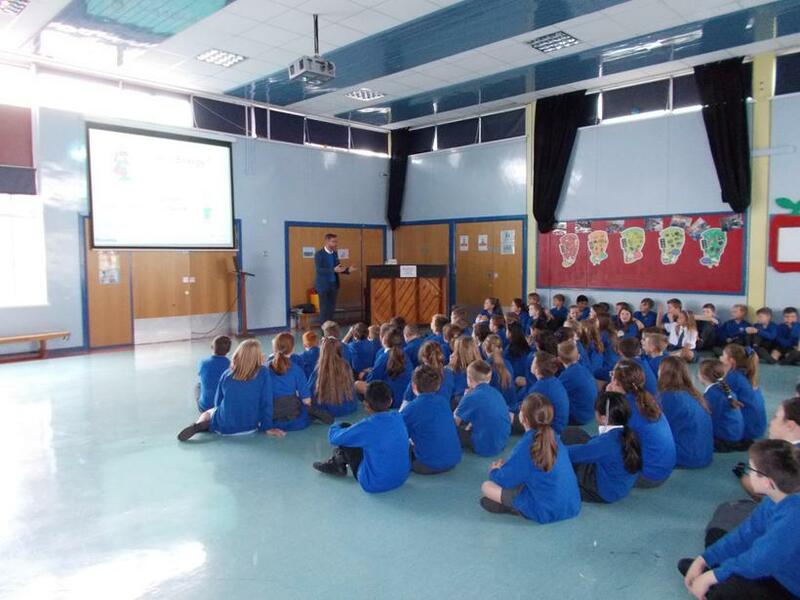 Today Primary 6 and 7 pupils listened to talk on Energy delivered by Mr. Moore from Bryson Energy. 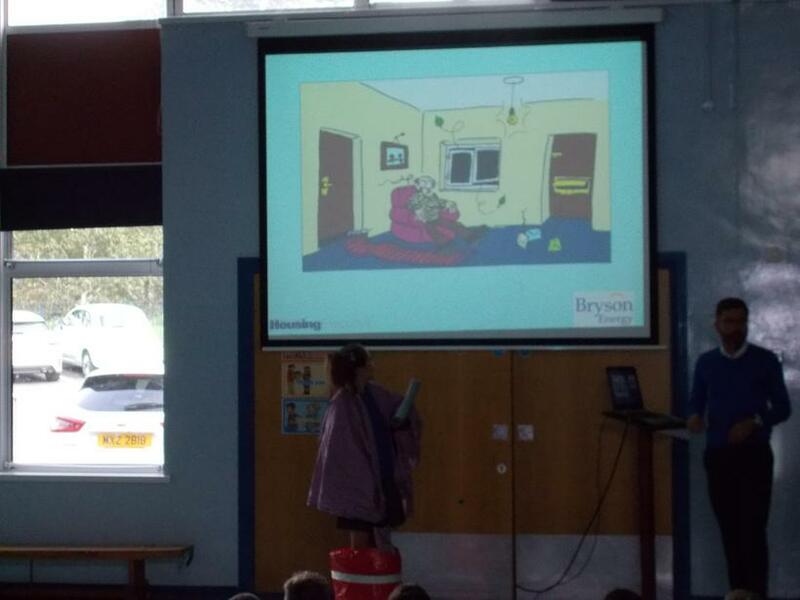 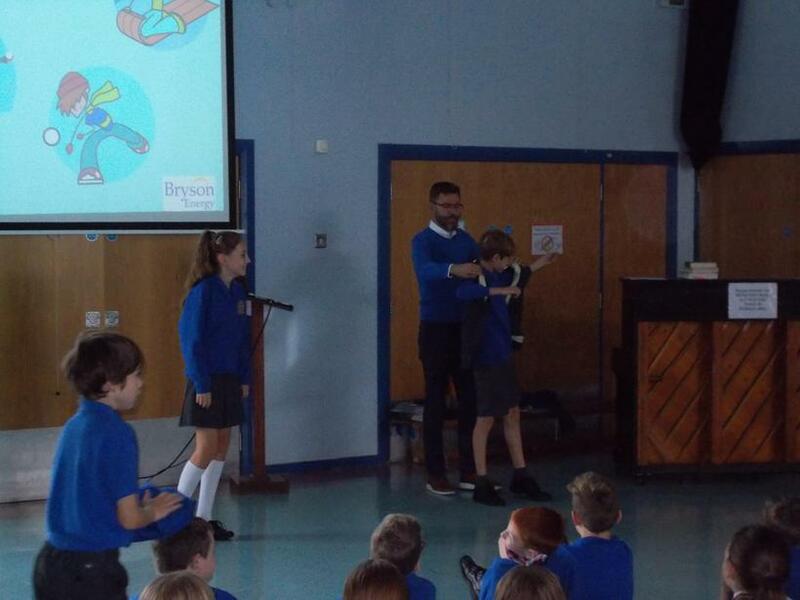 Saffron and Josh were asked to help Mr. Moore with his talk by getting wrapped up in clothes and insulation! 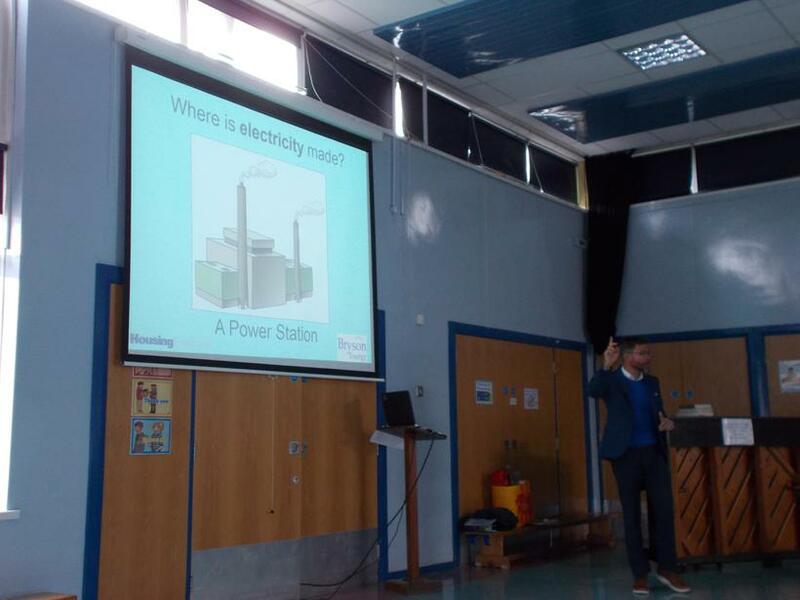 We were then awarded with our Sparky Mission Certificate to show that we have taken part in the Primary School Energy Efficiency Programme and this will be up on our Eco-Schools notice board very soon.